I wanted to share a Tutu chart so you can have it on hand for those dress-up clothes, costumes, and dance outfits for those little girls! 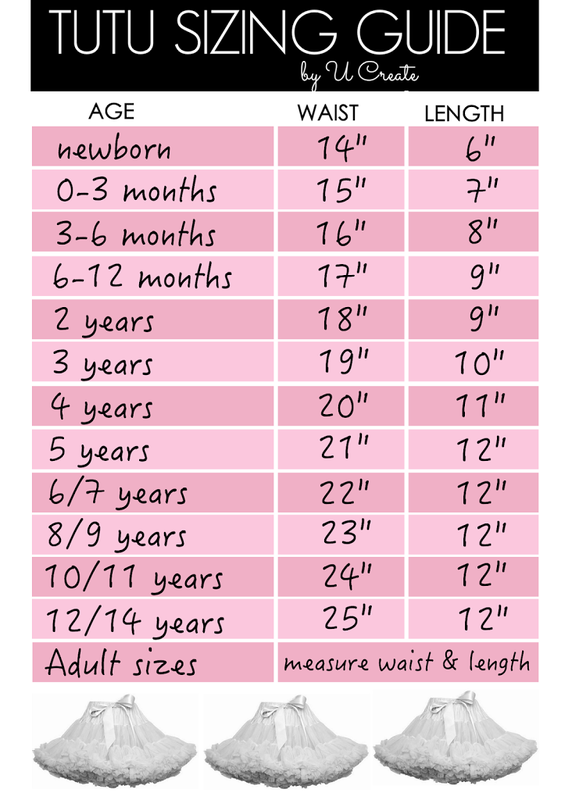 These are standard sizes and adults vary so much in height and size that it is definitely best to customize the measurements! 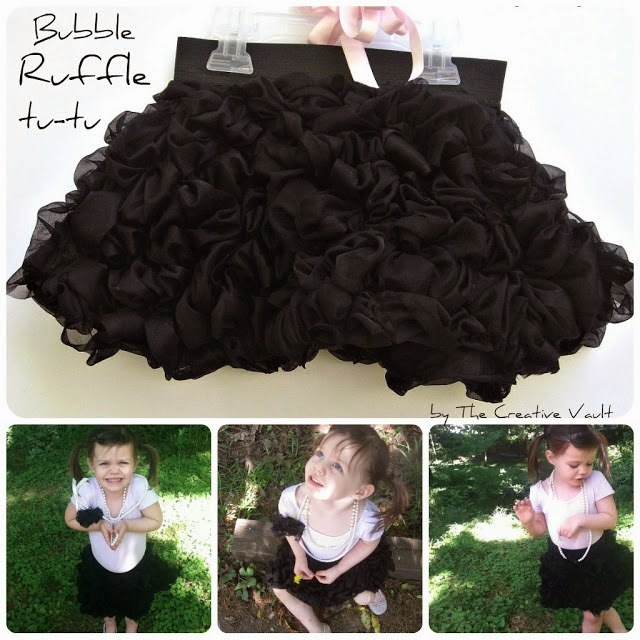 You may also like this gorgeous Bubble Ruffle Tutu Tutorial by The Creative Vault ..